Sec. Soliman said that violations of the Anti-fencing Law will be imposed on the suspect for selling some 17 sacks of 25-kilogram DSWD rice packs. Further investigation will be conducted to find out who sold the rice packs. “May this serve as a stern warning to individuals who continue with their unscrupulous ways,” Sec. Soliman stressed. DSWD-Field Office VIII Regional Director Nestor Ramos found out about the illegal activity when he went to the eatery for dinner on Thursday, April 3. Immediately, upon learning about the incident, Sec. Soliman instructed Dir. Ramos to contact the local police for action. Around 6:30 a.m. of the following morning, a team headed by DSWD Assistant Regional Directors Restituto Macuto and Virginia Idano headed to Sola Eatery located at Barangay 23 along Salazar Street. With the assistance of the City Police headed by Superintendent Domingo Cabillan, the relief commodities in question were confiscated from Marchita Ygrubay, 52, a widower and former resident of Barangay 23-A. According to Dir. Ramos, Ygrubay argued that she did not know that the goods are banned from being sold. She further added that she was just helping the sellers who were ‘Yolanda’ survivors from the districts of Pampango and Magallanes in this city, but refused to name names. The rice packs were allegedly sold for P600. Ygrubay revealed that there was a time when a delivery boy of a water refilling station approached her with a tricycle loaded with 12 sacks of relief rice. She, however, refused the offer at the time as she had no money. Meanwhile, Asst. Dir. Idano coordinated with the City Social Welfare Office to validate if their office was aware of the illegal activity. Malou Nacilla, one of the local social workers, said that their office was not aware of these operations. In a brief meeting between Asst. Dir. Idano and Mayor Alfred Romualdez, the local chief executive expressed commitment to support the DSWD’s campaign against the sale not only of DSWD relief supplies but also those from other sources. 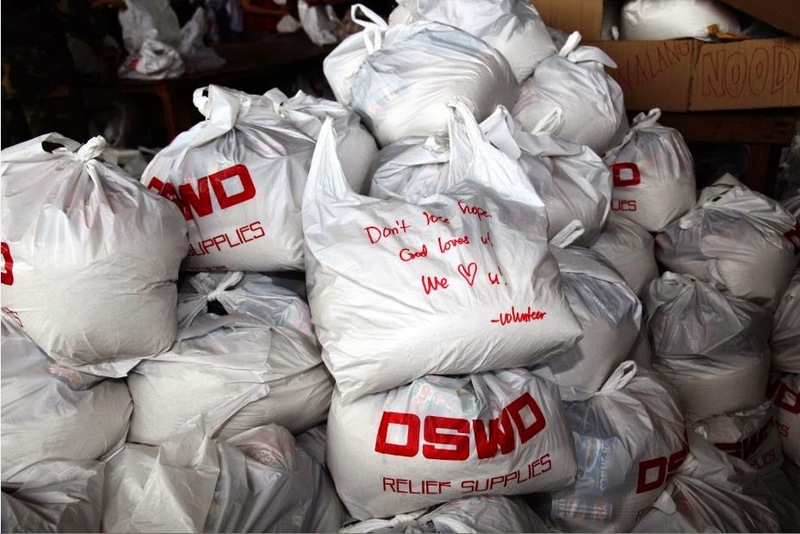 He also told DSWD that his office will conduct random checking of rice supplies in households in the city and that he will instruct his staff to put on the rice sacks the names of who received the relief so the authorities will know, if caught being sold, where they came from.